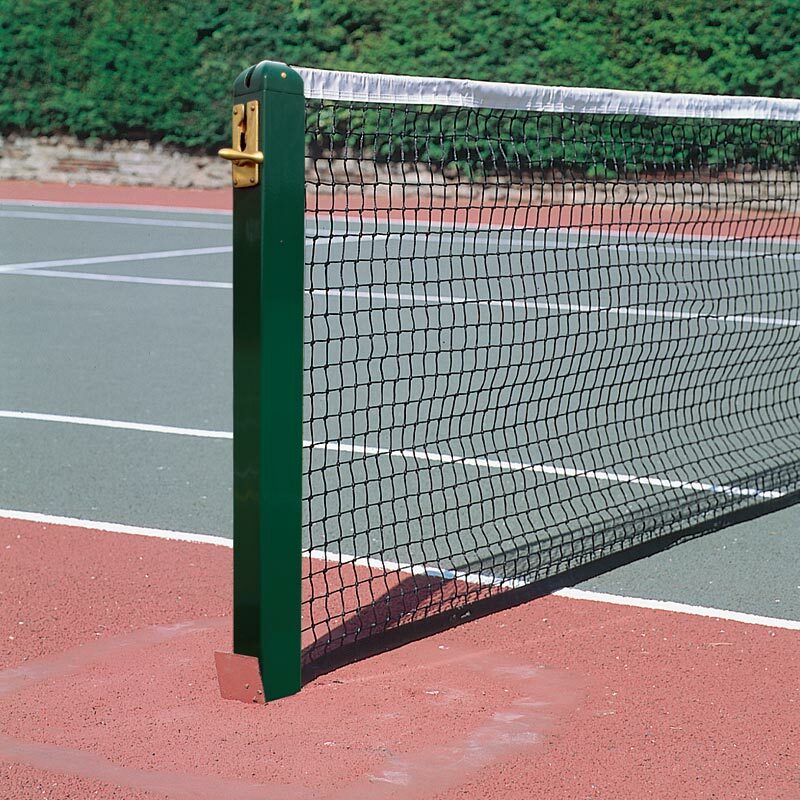 Harrod Sport ® 80mm Socketed Square Premium Aluminium Tennis Posts are suitable for use on hard or grass surface courts. 2 x Tennis Posts (1 Winder, 1 Dummy). 1 x 2.7mm Polyethylene Tennis Net. Made from 80mm square x 3mm, heavy duty internally reinforced aluminium, complete with superior quality polished brass, easy action winder. With aluminium top caps and 8mm diameter net retaining bar, complete with 380mm galvanised sockets with flush fitting lids. These sockets are a must for multi-purpose hard play areas. Stainless steel net retaining rod ensures net is held firm to posts. Total weight per set 22.5kg. Net size 12.8m x 1.07m. Thickness 2.7mm Single twine. Colour - black with black band on bottom and selvedge sides, white nylon headband on the top. Lost the instructions for your Harrod Sport ® 80mm Socketed Square Premium Aluminium Tennis Posts? Please Click Here to download a new copy.